7440/7443 CK CAN Bus LED Bulb - Dual Function 30 SMD LED Tower - Wedge Retrofit: Shown Installed As Running Light (Beneath Angel Eye) In Cool White. CAN Bus LED replacement bulbs can fit RV tail lights, brake lights, reverse lights, turn signals, and side marker lights. 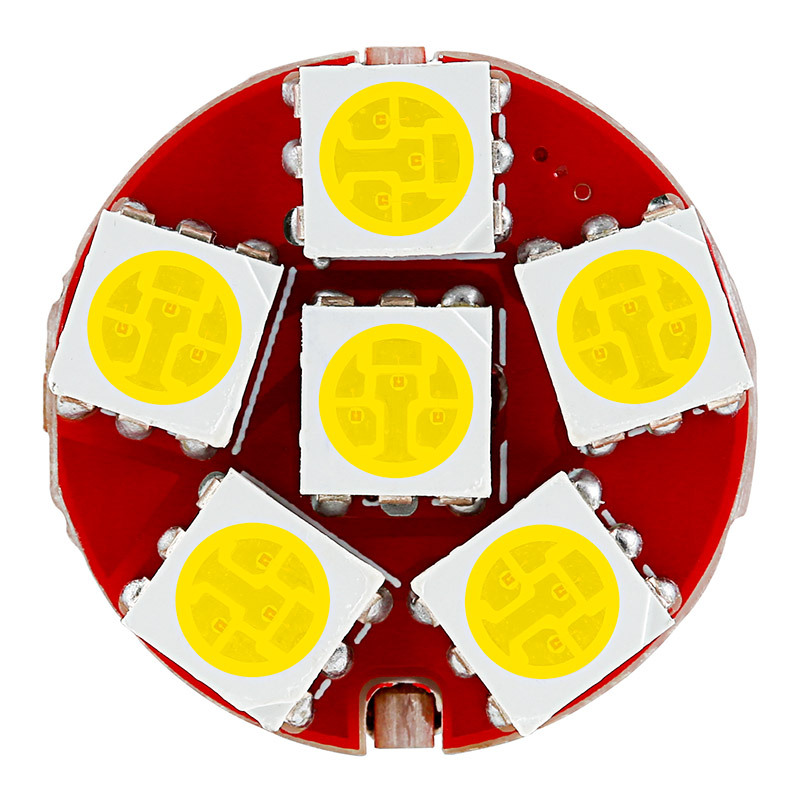 This dual-contact, dual-function 7443 bulb has 30 LEDs (5050 SMD) that create a 360° viewing angle for better, allover light emission with reduced hot spots. 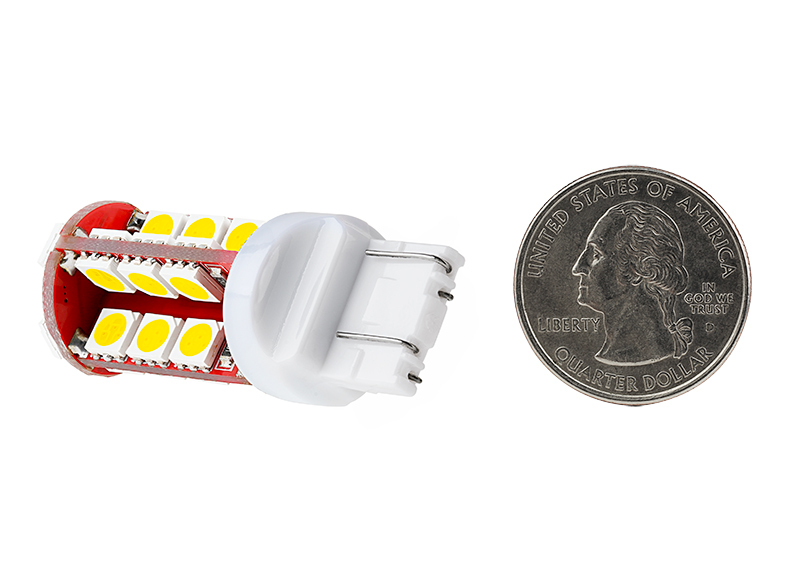 The error-free LED bulb is designed to communicate with your RV's CAN Bus computer system and prevent "bulb out" error messages. Tower-style design with a 16-mm wedge base for easy plug-and-play installation. The energy-efficient bulb operates within a 10-14.8V DC range and is designed to last 30,000 hours on your motorhome—25 times longer than incandescent bulbs. 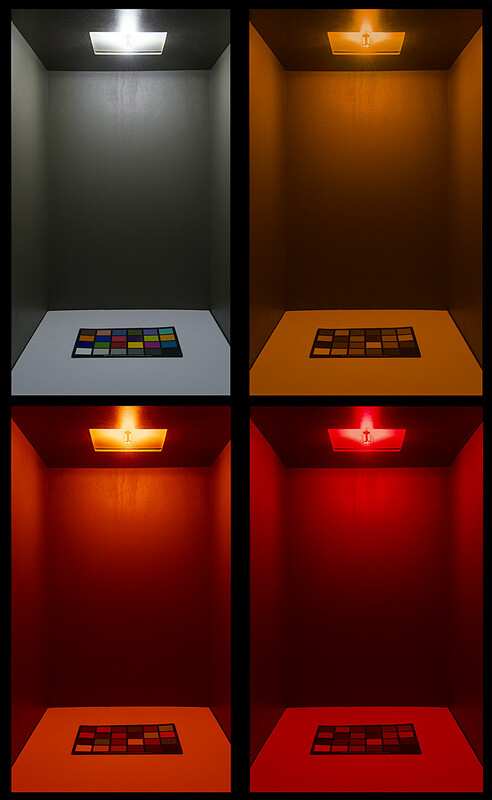 Available in amber, deep amber, cool white, and red. Deep amber color is ideal for housings with clear lenses. Not sold in pairs. Price per bulb. When looking for a replacement bulb, the way the socket is wired determines the part number of the replacement bulb. 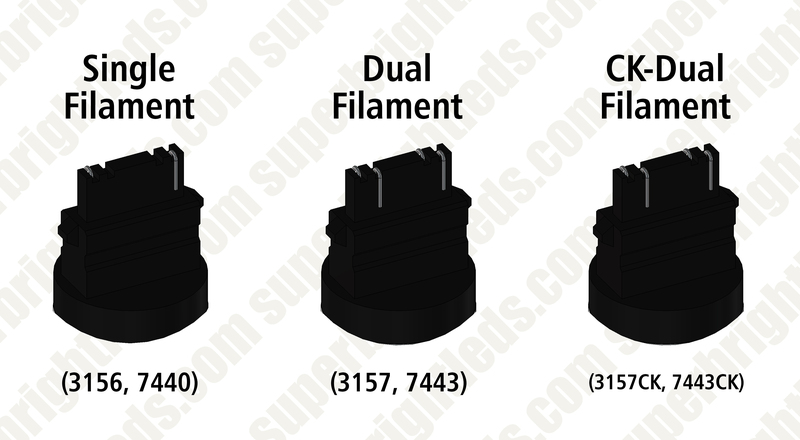 Sockets that are used for a single intensity call for 3156 or 7440 bulbs (single filament), while sockets that have a dual intensity call for 3157 or 7443 bulbs (dual filament). 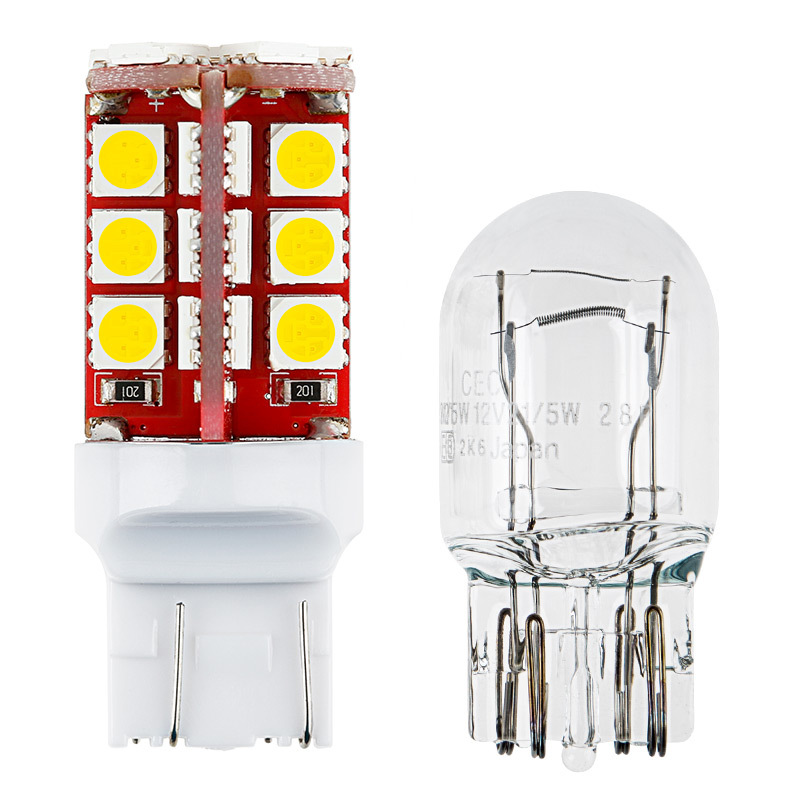 Dual filament bulbs will function properly in a single intensity socket. So a 3157 bulb will work in a 3156 socket and a 7443 will work in a 7440 socket. 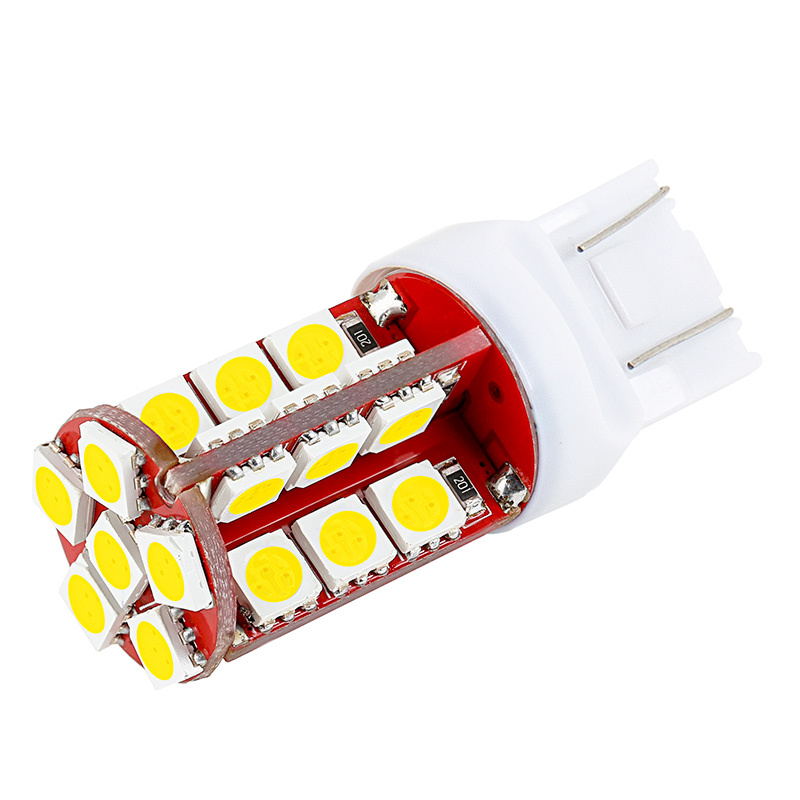 However, single filament bulbs will not function in a dual intensity socket. 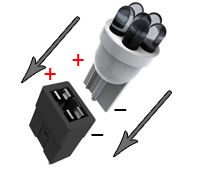 CK indicates where the socket's positive and negative terminals are located. 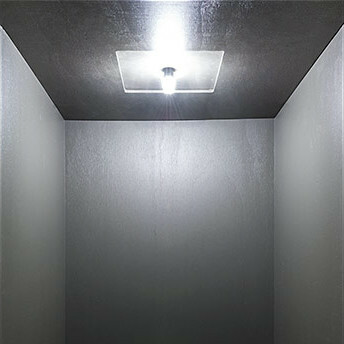 CK LED bulbs are very versatile and can be used in any application a CK or non-CK bulb is used. Price was good but I was not entirely satisfied with the performance of this product. 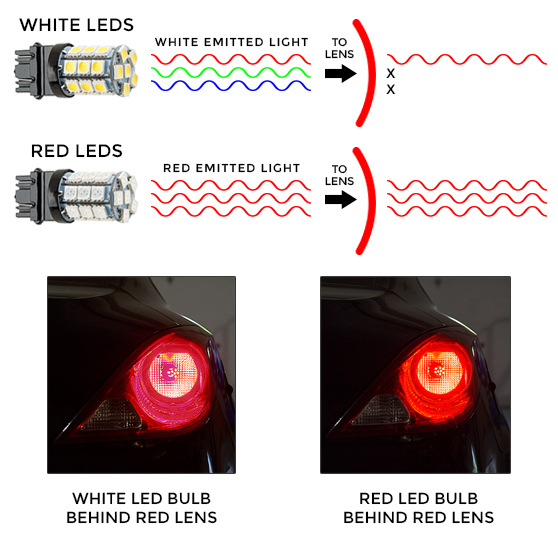 The description promised that these LED bulbs would work with vehicles that use body control modules to power the vehicle lighting, hence the product description "CAN compatible". However, now that I have plugged these bulbs into the reverse lights on a 2013 dodge dart, the MIL display screen indicates that the reverse lights are out. The lights do work, but they are not as Brite as I would expect. Most vehicles with the CAN bus feature will work well with this bulb. When a vehicle needs more load to satisfy the computer, we recommend the use of the RL-2525-K Resistor Kit. Tried this bulb out for a reverse light on my 2014 Ram 2500. Iv tried about 4 different bulbs but they have all tripped the Canbus system. This bulb is no different.. In many vehicles, the CAN bus version of or bulbs operate well. In some cases however, an aditional resistor may be required. 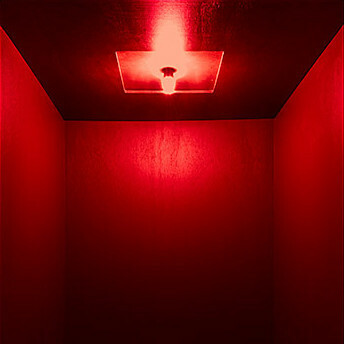 I had great expectations when I ordered these lights. After they were installed I was so HAPPY these LED lights were lighting up my bike! Now the LED RUNNING lights are BRIGHTER than the original lights were when the brake lights were on! When these LED lights become BRIGHTER because the BRAKE has been applied they SHINE AS BRIGHT AS THE SUN! I have been riding for over 60 years now and one thing for sure having BRIGHT head lights and tail lights are a must for safety! It would be impossible for me to be any more PLEASED/SATISFIED as I am now! Not only do they do their job, but for less than a $50 bill got FOUR SUPERBRIGHT LED LIGHTS, I know everyone behind me can SEE ME NOW!!! Thank you!!! I put the Amber version of these in my 2016 Lexus RC-F. Excellent color and brightness. 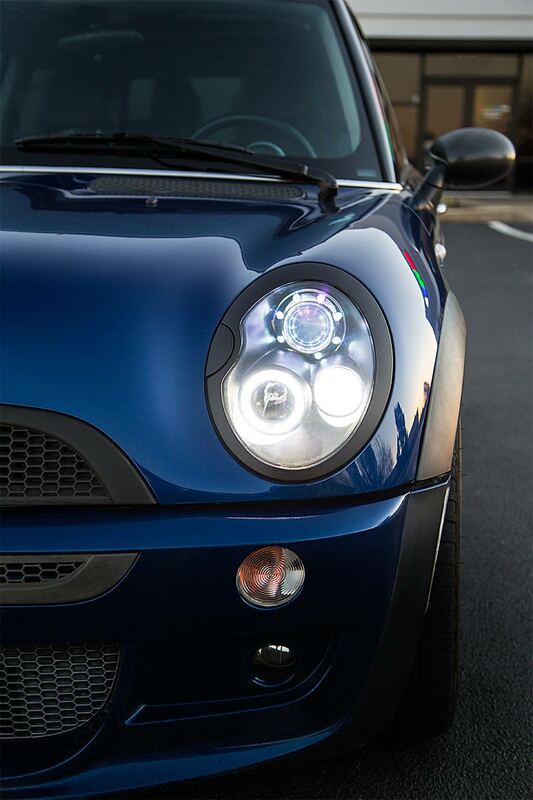 Brighter than the stock bulbs, but not blinding. Perfect brightness, in fact. Also an excellent fit. No light out warning. Hyperflash fixed with resistors.